not be able to accept your items. Below is a list of our drop off stations with what we can and cannot accept. Paper Shredding – A mobile paper shredding truck will be on site where you can watch your documents get shredded. There is a limit of 3 banker’s sized cardboard boxes per person. Medication Drop Off Site – The Castle Rock Police Department will be hosting a booth where you can safely dispose of prescription medications, over the counter medications, ointments, and pet medications. They cannot accept liquids, radioactive medications, needles, aerosol cans, thermometers, or illegal drugs. They suggest that you place medications in a plastic baggie and that you mark out your name and identifying information on the prescription bottles. Electronic Recycling – A truck will be available that can recycle old electronics such as computers, laptops, printers, and cell phones. This station cannot accept T.V.’s or large appliances. Project Recycle Bike Drive – We will be working in collaboration with Project Recycle who is a local non-profit organization that provides bikes to underprivileged families. If you have a used bicycle you no longer want please consider donating it. Trash – There will be several large trash bins available to accommodate your general trash. Information on what can’t be thrown away in these bins is listed below. Recycling – A large recycling container will be on site where you can recycle most of your household items. All cardboard must be broken down and flattened before it is put in this container. Information on what can’t be thrown away in this bin is listed below. Donation Items: Due to donation trucks/companies not offering their special event services anymore, we will not be able to accept donation items. Castle Rock now has a Goodwill store just a few miles up the road. If you have donation items, please plan to take them to the Goodwill store. 335 Barranca Dr., Castle Rock, CO 80104. No TV’s of any kind. – Electronic Recycle cannot accept T.V.s and they are not allowed in the dumpsters. propane tanks, paint, stains, insecticides, tires, and car batteries. This is not a chemical roundup. If you have chemicals or related items, please visit https://www.tchd.org/250/Household-Chemical-Roundups for the list of local community roundups. 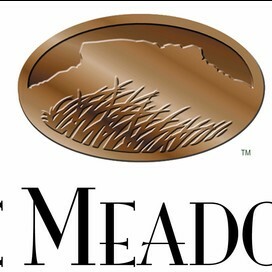 There may be other items that are not accepted at the discretion of the Meadows Neighborhood Company. Special Note: Due to demand of this event and the growing community, we have a one-carload-per-household limit. This event is intended to be used for the benefit of the Meadows residents. We reserve the right to refuse service to anyone who is “abusing the system” which would result in our resources not being available for everyone. This determination is at the discretion of the Meadows Neighborhood Company.